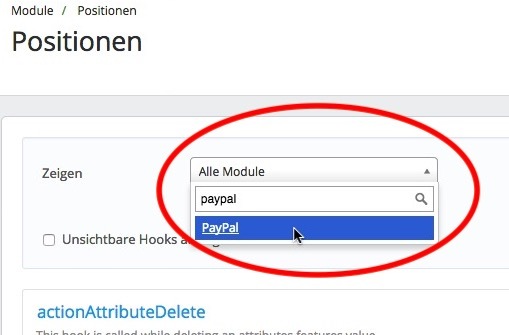 In order to remove the PayPal Express Checkout button from the product and shopping cart pages in Prestashop 1.6, you need to remove the PayPal Modul from the correlating hooks. Now you get a list of all hooks which the PayPal module is attached to. Scroll down the page and look for the displayFooterProduct hook, click on the arrow next to the PayPal modules ‘Edit‘ button. Then click on ‘Unhook‘. Like in step 3, just this time remove the PayPal module from the displayFooterProduct hook. The PayPal Express button should now be removed.